I have been a sales associate with Ted’s Foodservice for 4 years. I have been in the meat business for 45 years. This is where I have the majority of my knowledge. I am a native Stocktonian and San Joaquin Resident. I have an AA degree in Business Administration from SJDC. I enjoy talking and working with people to help them with any foodservice questions or problems. I do my best to support the small business entrepreneur, for this is the back bone of our existence. I have been married for 43 years and have two children. In my spare time I enjoy my family, golfing and sports. My Background includes over 45 years of foodservice experience; 30 years as a manager, executive chef and restaurant owner with the most recent 15 years as a food service representative. I am very knowledgeable in food products, food costs, and menu analysis. My real passion comes from applying my knowledge to building a better business with my accounts for their most effective and beneficial goals. I am a native of Stockton, CA. I started my career with Ted’s Foodservice in 2003. My product knowledge started in the warehouse, and as a delivery driver. Working my way up into sales; my past retail management experience makes my customer service skills ideal. “The Customer Comes First!” A graduate of SFSU with a degree in communications, I am an established musician and I enjoy bowling and golf in my spare time. 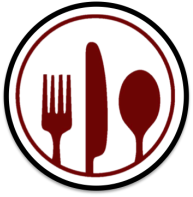 ​Over 30 years of food service experience which includes restaurant, business owner and food service sales representative. I have strong product knowledge and love working with the customers to achieve their business goals. I have 35 years of food service distribution sales experience. I specialize in multi-unit foodservice account sales. My product knowledge, personal service and integrity will help customers achieve their business goals.